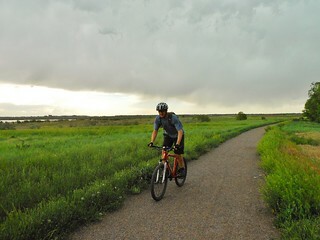 On our Friday off, Dennis and I went for a nice, mellow bike ride around Cherry Creek State Park. We knew there were going to be afternoon thunderstorms, so we wanted a ride which was close to shelter. 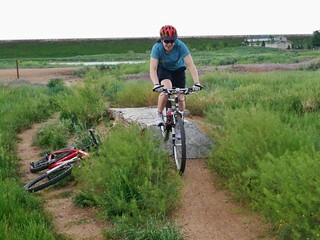 The trails of CCSP are wide and not technical, so we were able to ride fast, if needed.